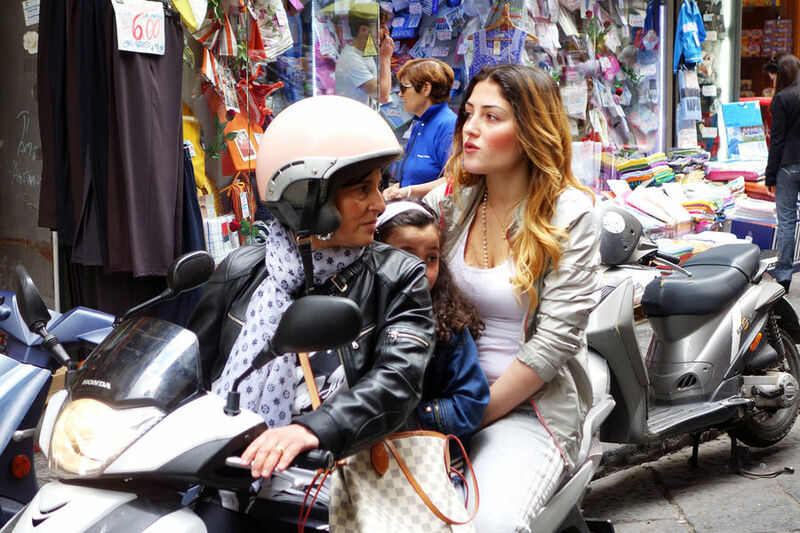 Crammed with chaos, Naples is appalling and captivating at the same time. It's Italy's third largest city, along with being its most polluted and crime-ridden and densely populated. But this tangled mess still somehow manages to breathe, laugh, and sing with a joyful Italian accent. 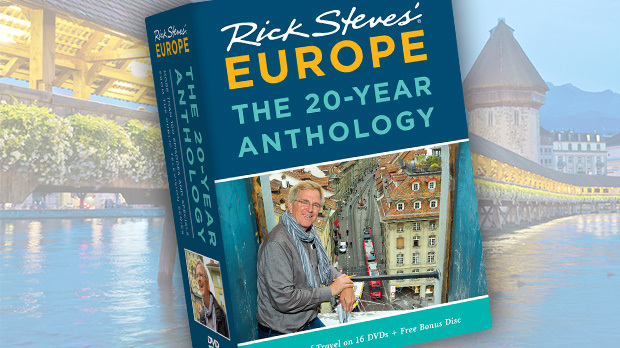 It's the closest thing to "reality travel" in Western Europe — fertile, churning, exuberant, and fun. 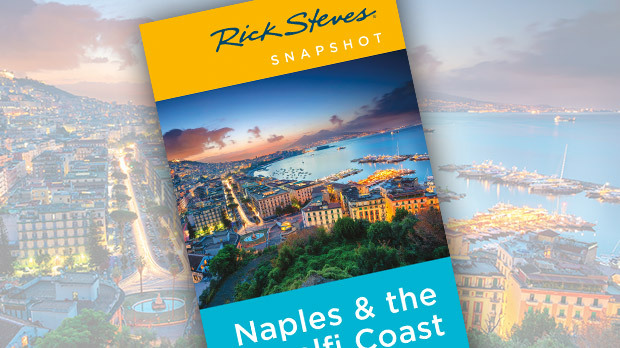 Naples is one of Italy's major cruise ports, and ships dock right in the town center. A tourist information desk, ready to answer questions and provide maps, lies close to the disembarkation point. Still, some friends I made onboard my last Mediterranean cruise walked 100 yards off the ship, went through the terminal, and peered into Naples' clogged streets. Then they turned around, and spent the day in the ship's pool. Had they kept on walking for 15 minutes (or caught a bus or taxi), they would have found themselves in a classic Neapolitan world…without a hint of tourism. Of course, Naples has a reputation of being dangerous, but your main danger is pickpockets. Wear a money belt. Any traveler with good common sense will feel comfortable here — and will be richly rewarded for their adventurous spirit. If you arrive in the morning, a good first stop is the lively (and smelly) Porta Nolana fish market, which squirts and stinks as it has for centuries under a gate in the city wall, Porta Nolana, just in front of the Circumvesuviana commuter train station. 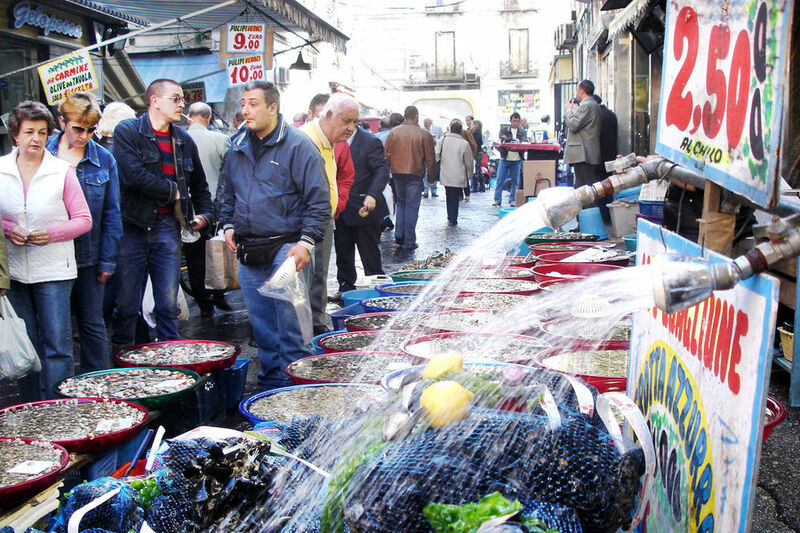 I like listening to the droning sales pitches of the fishmongers, perfected over centuries. A walk through the city's core is the best way to capture the city's essence. Locals seem perfectly adept at enjoying life with their domestic worlds tumbling right out onto the gritty streets. For a taste of this quintessentially Neapolitan lifestyle, head just northwest of the port, to the city's Spanish Quarter. Here, the streets — laid out in the 16th century for the Spanish military barracks outside the city walls — are unbelievably narrow (and cool in summer), and the buildings rise five stories high. Wave to someone on a balcony lining the walls of the urban canyon high above. In such tight quarters, life — flirting, fighting, playing, and loving — happens in the streets. This is the cliché of Italian life — just like in the movies. Hungry? Pop into a grocery shop and ask the owner to make you his best prosciutto-and-mozzarella sandwich (the price should be about $5). As you stroll, remember that in Naples, mopeds are bold, and red traffic lights are considered decorations. Smart tourists tag along in the shadow of confident locals (who generally ignore crosswalks). Wait for a break in traffic, and make eye contact with approaching drivers. The traffic will stop. North of the Spanish Quarter, a long, straight, narrow street bisects the city. Its name changes several times, but the whole drag is known as Spaccanapoli — "split Naples." Light a candle at one of Naples' powerful houses of worship along this strip, such as the Baroque Cappella Sansevero chapel. The unique Veiled Christ marble statue here seems to change expression from suffering to peace as you look from Jesus' feet to his head. After you've explored the city, celebrate with pizza in the city where it originated. It seems Neapolitans are endlessly enthusiastic about discussing the fine differences between different pizzerias. My friend Vincenzo described his idea of the perfect pizza: "Melts into your mouth, goes straight through the throat and into the stomach. It does not need to be chewed." Using traditional wood-burning ovens, Naples' pizzerias bake just the right combination of tomatoes, mozzarella, and fresh dough (soft and chewy, as opposed to Roman-style, which is thin and crispy). Ask anyone to steer you to the neighborhood pizzeria. An average one-person pie (usually the only size available) costs $5 to $10; most places offer both take-out and eat-in, and pizza is often the only thing on the menu. Like the pizza, Naples is a delicious experience, warm and welcoming. If you don't like Naples, you're tired of life.